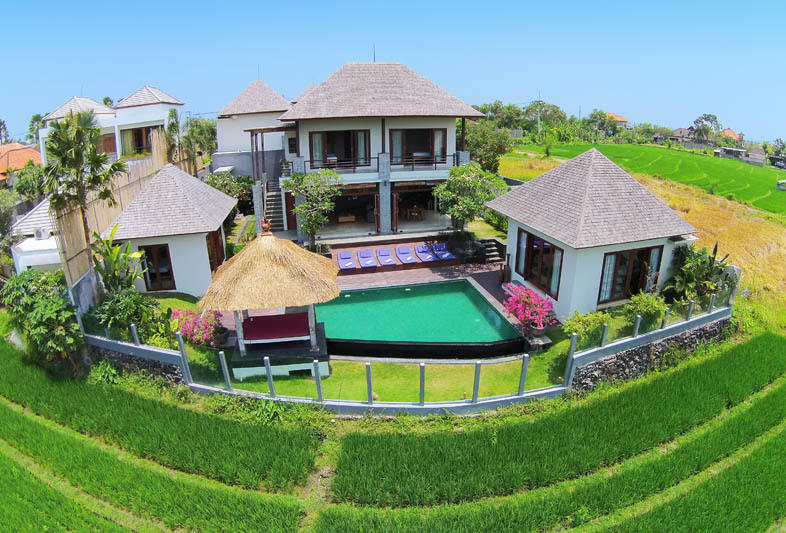 Villa Rudy invites you to enjoy holiday in Bali in memorable way by offering you paradise of living in cozy house surrounded by lush landscaped garden and rice field view. 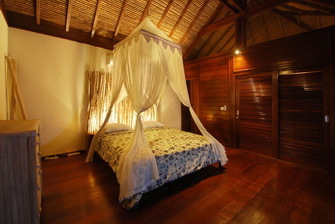 Built with private swimming pool, gazebo for chilling out, open living area, furnished with fine and selected furniture, fully equipped kitchen and home theater equipment. 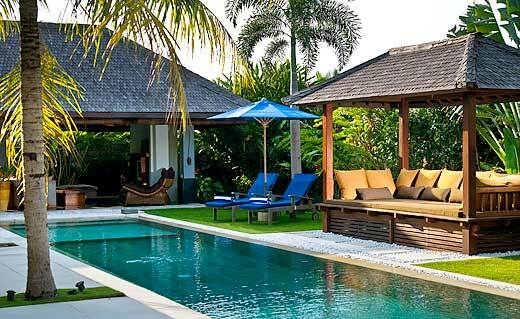 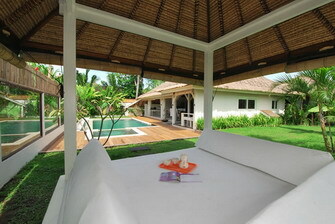 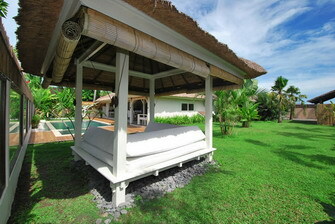 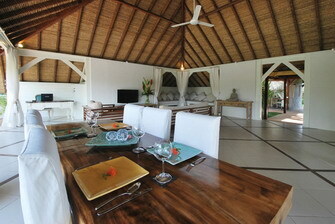 The villa is available for rent in Bali to accommodate 6 persons. 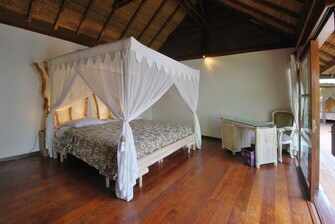 The rooms are designed comfortably with double size bed with selected linen, walk in dress and air-conditioner. 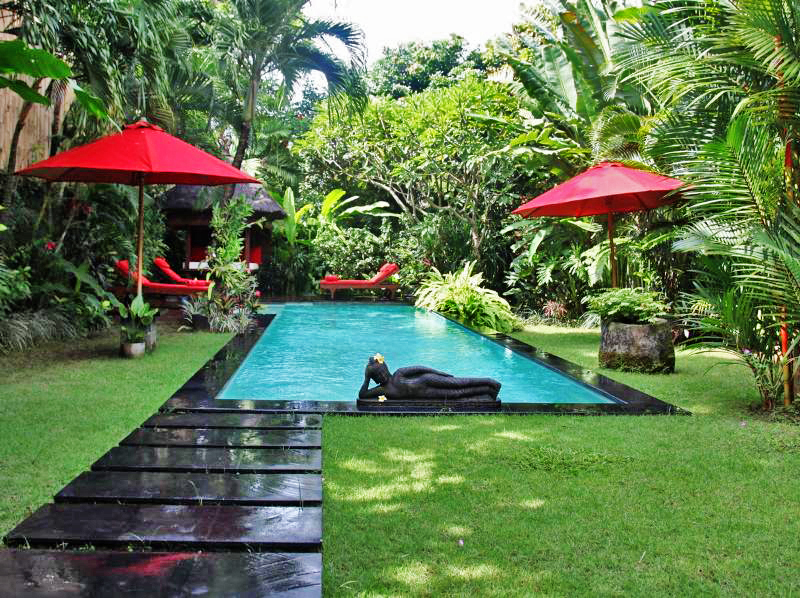 The villa is situated in growing area Canggu where is the best area to stay in Bali, it takes you 15 minutes away from the center and 5 minutes to activity and sport center of Canggu club without losing the spirit and atmosphere of the real Bali life. 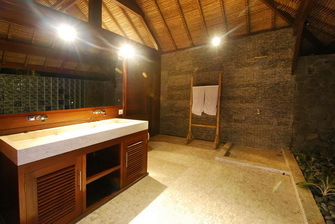 Spoil yourself with in house massage from the expert recommended by the villa and enjoy dinner with family and friends with house cook, these services are available upon your request. 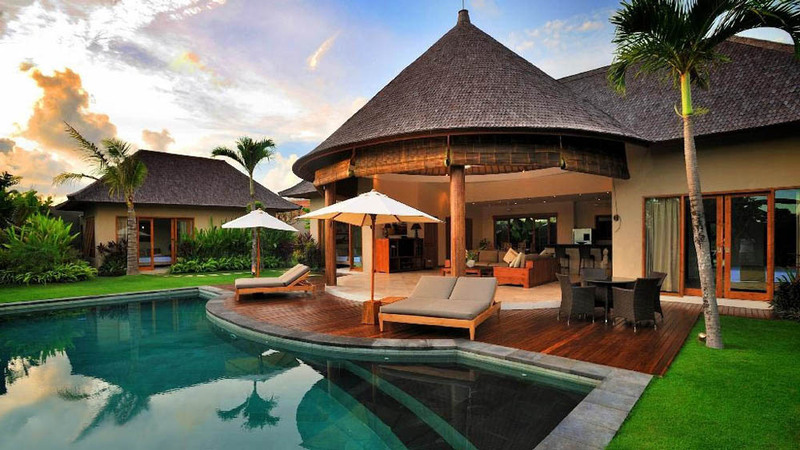 The property amenities, services and facilities will complete your stay in villa in Bali as you make an experience that makes you want to come back again and again. 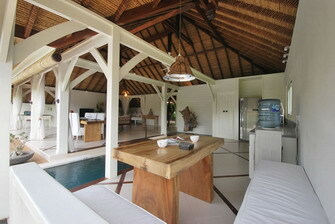 Beautirul villa, perfect lay out at living room, kitchen area/bedroom. 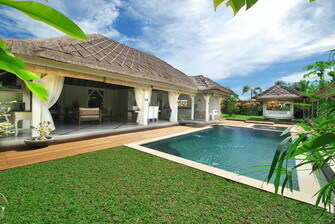 Swimming pool and garden are spacious, beautiful view at the rice fields. 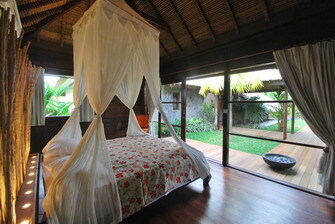 Its very quiet which is perfect for relaxation. 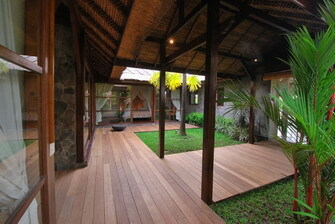 A main road is closeby, which makes it convenient for transport. 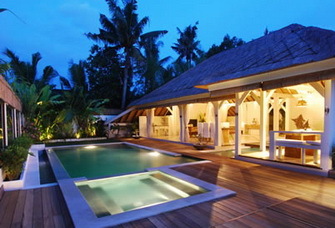 Staff is very friendly and helpful. 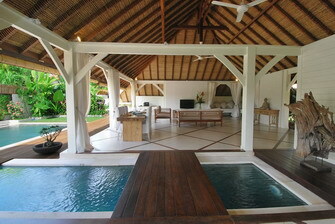 We, Esther, the boys and I enjoyed this paradise!